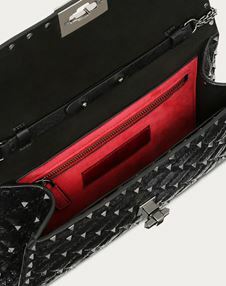 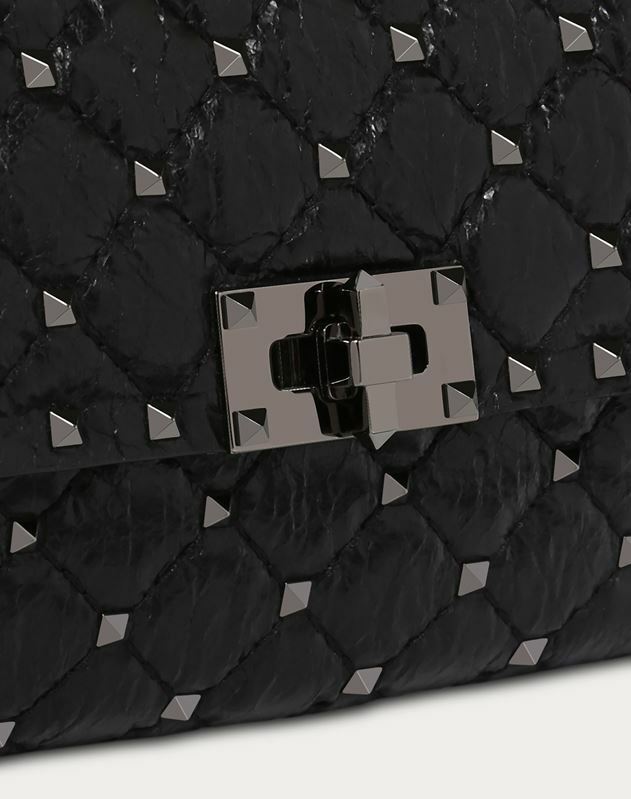 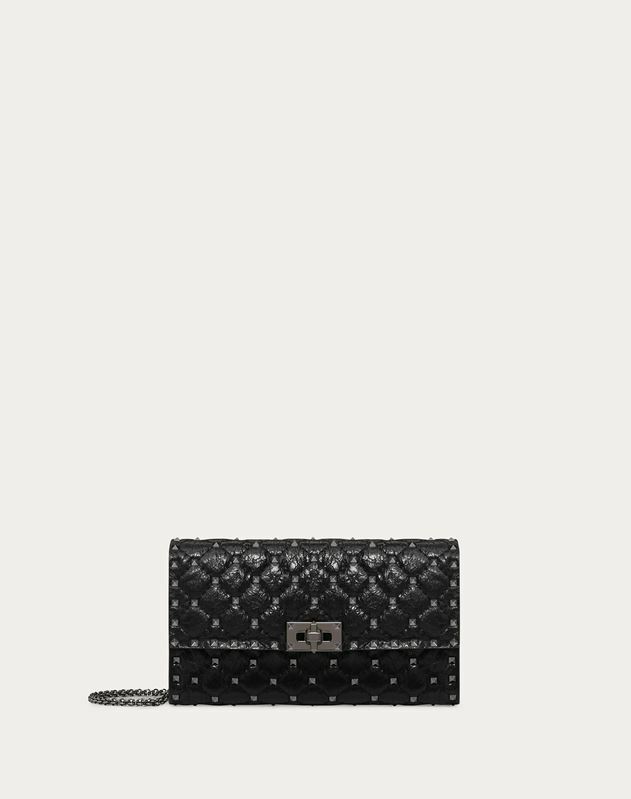 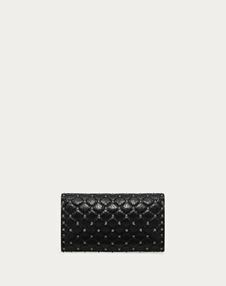 Valentino Garavani Rockstud Spike chain bag in soft crackle lambskin leather. Quilted item with micro stud detailing. 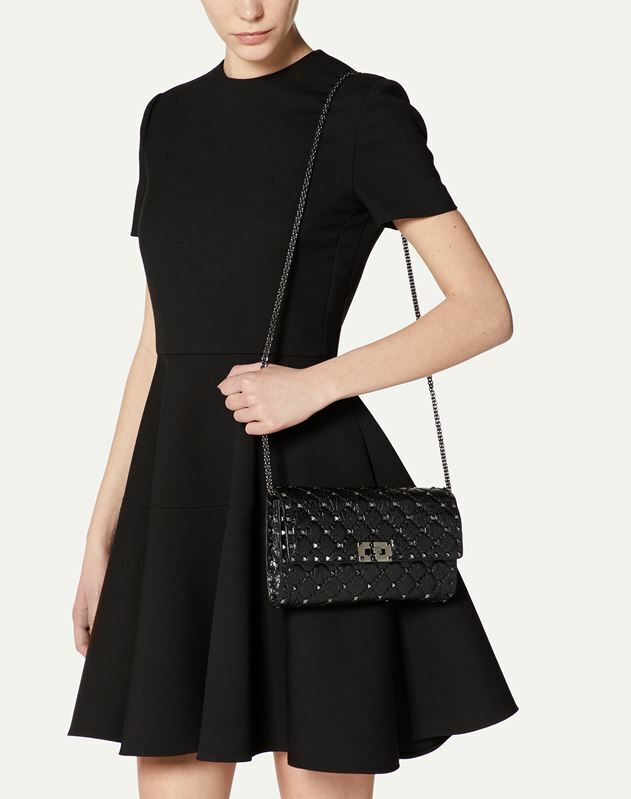 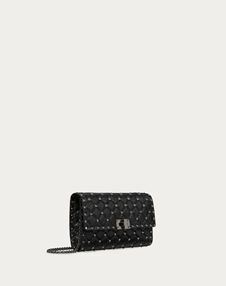 The detachable chain strap means the bag can be worn as a shoulder bag, a cross body bag or be carried by hand. - Dimensions: W23 x H13.5 x D4.5 cm / W9.1 x H5.3 x D1.8 in.